Hello everyone! 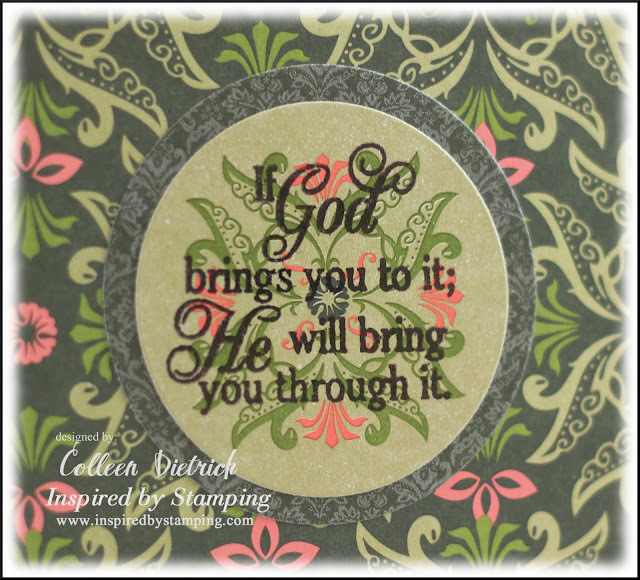 Time for another glimpse of a new set coming to the Inspired By Stamping store soon: Words of Inspiration. The set includes 6 inspirational, encouraging, supporting quotes. When I spied beachy paper in my stash, I knew it'd be perfect for this phrase! I decorated the swimsuits and umbrellas just a little bit, and sprinkled glitter on the beach, too. 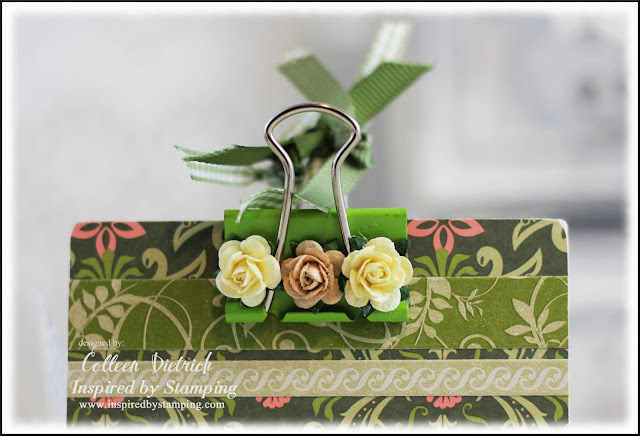 Add a binder clip from the stationery supply store using a strong glue BUT ONLY ON THE BACK OF THE CLIP - you want to be able to use the front to slip in little treasures, papers, photos, etc. Gorgeous! And gorgeous! And again! Oh, now this is just TOO cute!!! I love it!!! What an excellent idea to highlight the quote. Whoa- L O V E it! What a fabulous idea to have the top of the tree above the card. Great inspiration! Love love love love love these!!! LOVING that first one!! The clothes in the palm tree... toooooo fun!! Love, love, love that adorable card. The sentiment is perfect for the beachy paper. Adding the pearls to the swimsuits is so very cute. Again, love, love, love that card!!! Wow, what beautiful designs! Especially love the first card, such a fun design! Beautiful cards, Colleen! 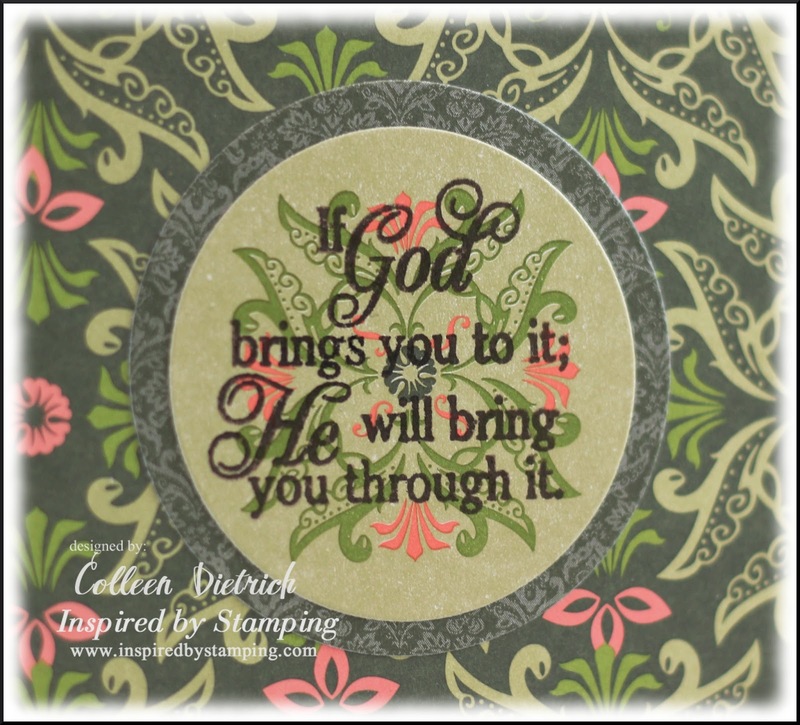 LOVE the 2nd sentiment - so comforting! Must go check out this set! 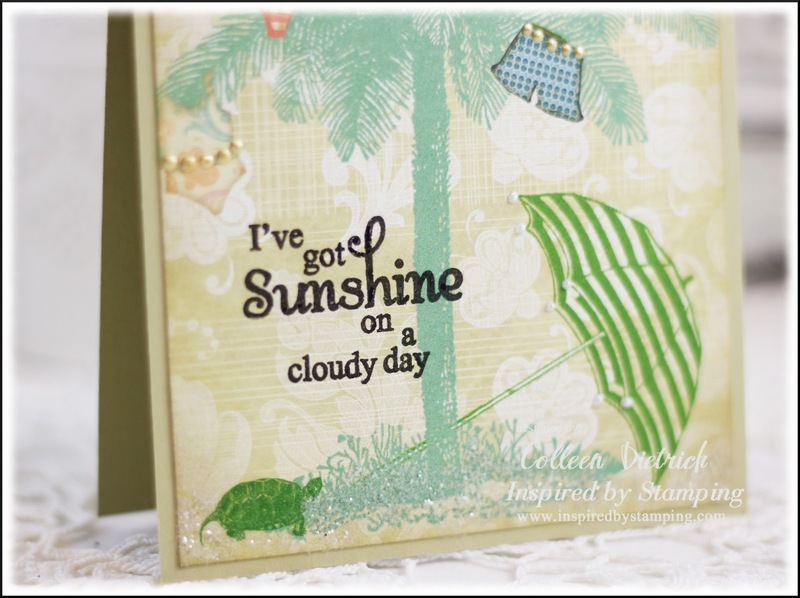 This is fabulous Colleen﻿!...Such a clever use of Pattern Paper!..Works perfectly with the stamped sentiment! :)...I really loved the clipboard too..looks beautiful..!! Fabulous projects! 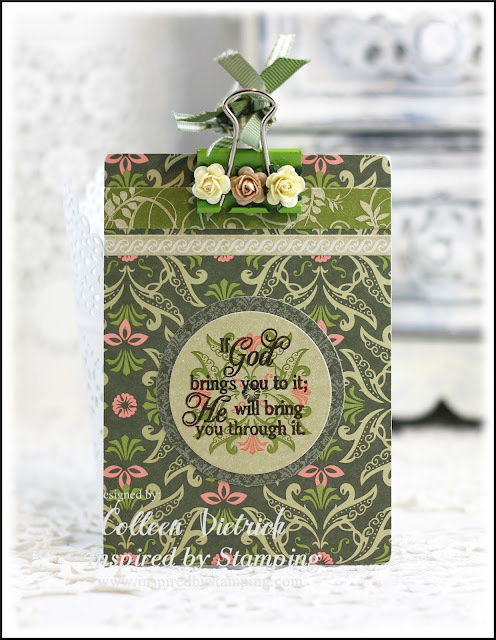 Love the fun card and your second project is gorgeous! The first card is so fun and creative! Love the sentiment in the second card, and your treatment of the clip! Oh my gosh.. I just love your cards here. They are so cute. Colleen! I love both of your designs! They are just amazing! Thank you! To fun drying the clothes :) -- What a useful clipboard! Super cute card! Love the out of the box cutting and the swimwear hanging out to dry. Great idea for the mini-clipboard, too! Looks so easy. I'm having one of those "why didn't I think of that" moments. Okay now I have this song in my head! What a fun way to decorate the palm tree with your cute little swimwear! Your clipboard project turned out super cute too, love the sentiment!! Beautiful papers and sweet roses! This is a fantastic idea! Wowzers Colleen!! Both of these projects are incredibly stunning! Pinned both of them! WOW! Two fabulous creations--I looooooove that card! FUN embellies with the pearls and the sparkly glitter sand:) I also LOOOOOOOVE the tree coming off the page! FUN x10000! LOVE your mini clipboard-- perfect sentiment! LOVE those papers and the clip with the three flowers:) YOU ROCK! 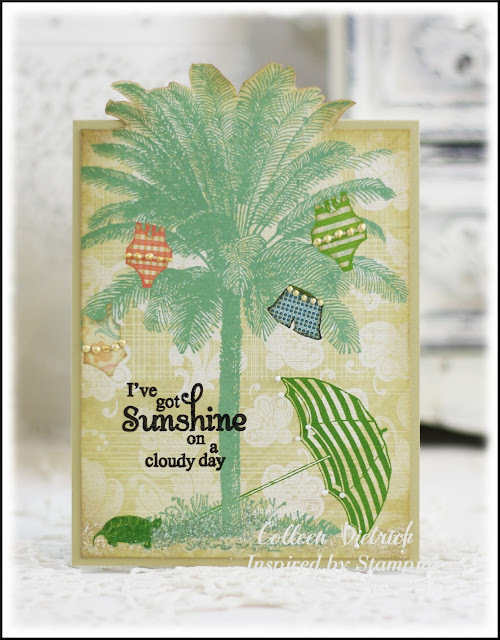 Beautiful clipboard, but your palm tree card really caught my eye, so fun!